Hey friends! 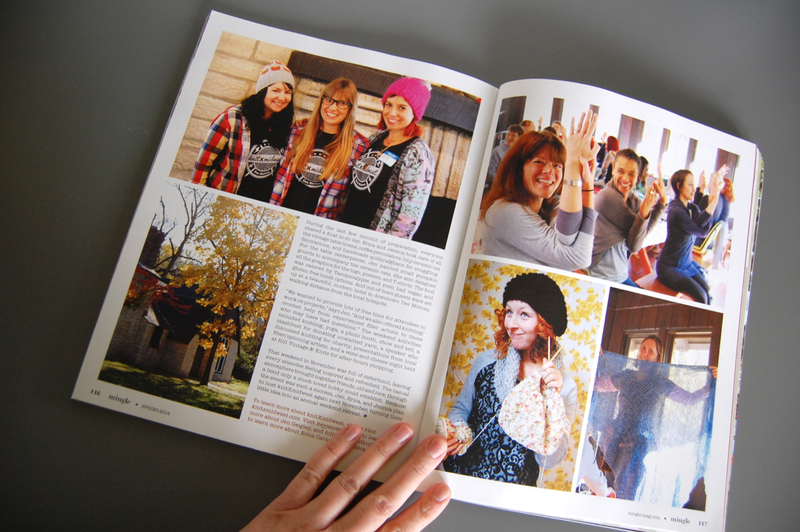 Check out the Spring 2014 issue of 'Mingle' magazine, which is all about sharing creative ideas for unique gatherings. 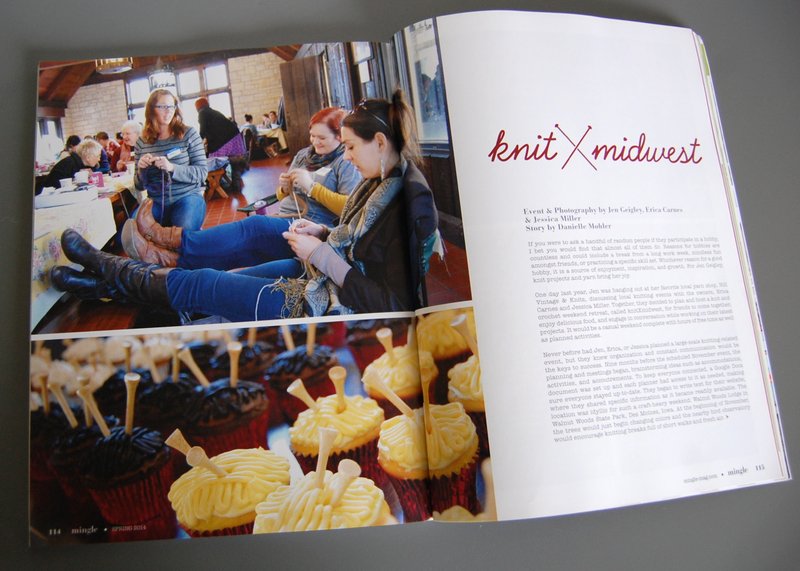 Inside there's a great feature about knitXmidwest, the knitting retreat I organized with my friends Erica and Jessica from Hill Vintage & Knits last November. Super cool! And such a great magazine. There are a zillion cool party ideas for weddings, baby showers, outdoor dinner parties and even a Vespa-themed engagement party in this issue. You must grab a copy for yourself.